INCRA scores again with its precision steel rule. 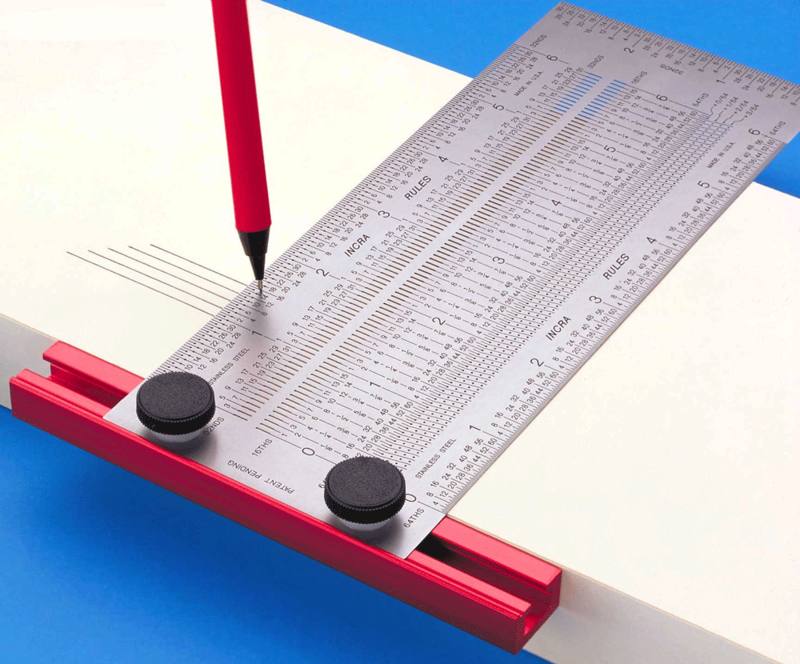 Select the proper slot or hole, insert a .5mm mechanical pencil, and mark the measurement with dead-on accuracy. 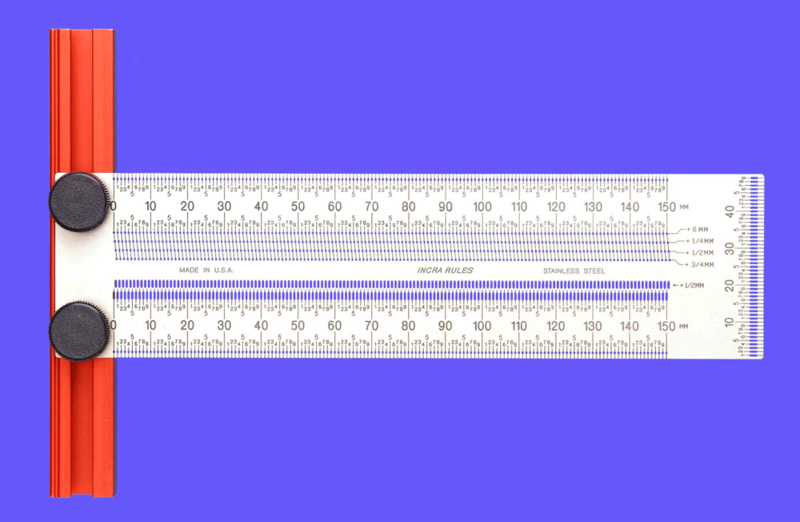 This is our Metric T-Rule shown here is the 150mm version. 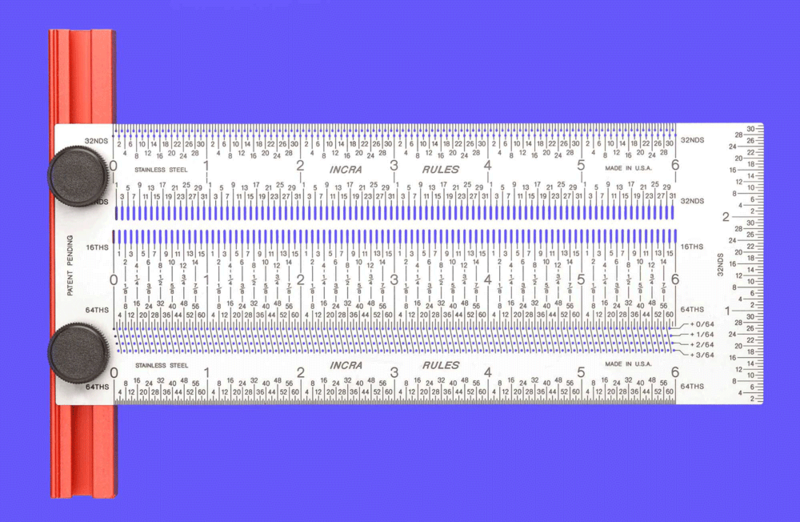 It is also available in a 300mm length. 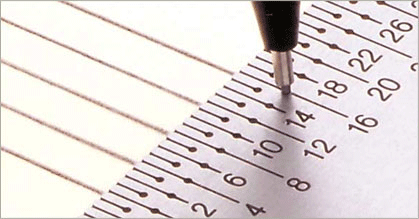 These rules offer Incra's patented marking holes at every full, 1/4, 1/2 and 3/4mm from 0 to 150mm. 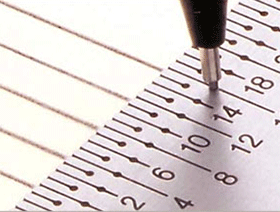 They also offer 0 to 50mm height marking slots on the end in millimeters. 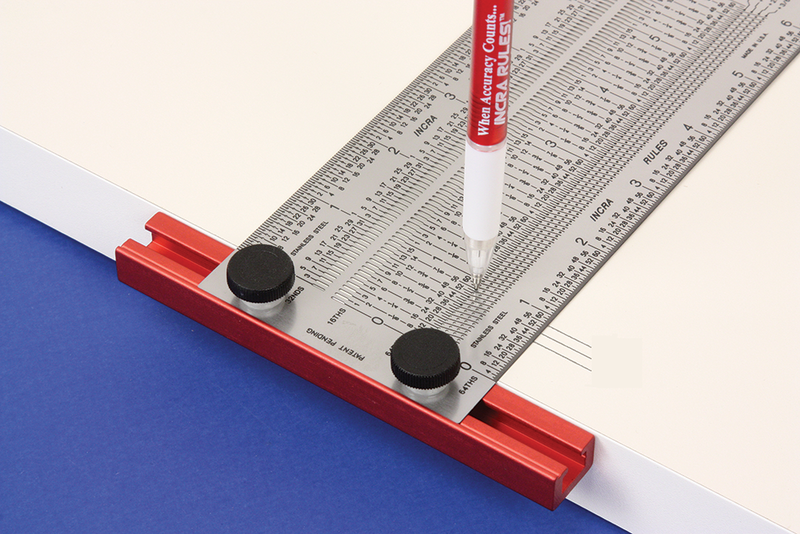 The Professional version of our patented T-Rules is shown here in the 6 inch/150mm version. This is the most versatile and precise rule we offer. 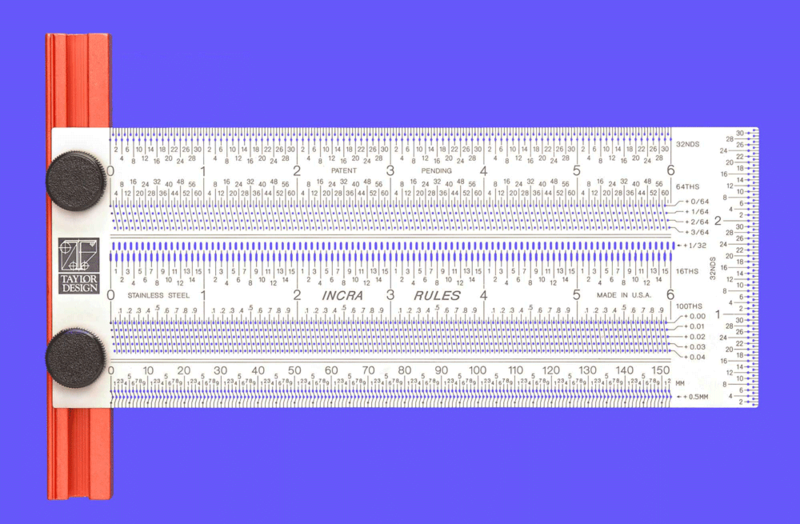 These Professional T-Rules are also available in 12 inch/300mm lengths and both lengths offer Incra's patented marking holes at every 1/16th, 32nd, 64th &1/100th inch. But they are also bilingual because they have marking holes at every .5mm as well! 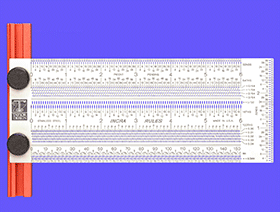 The end features 3 vertical inches of marking holes at every 32nd. 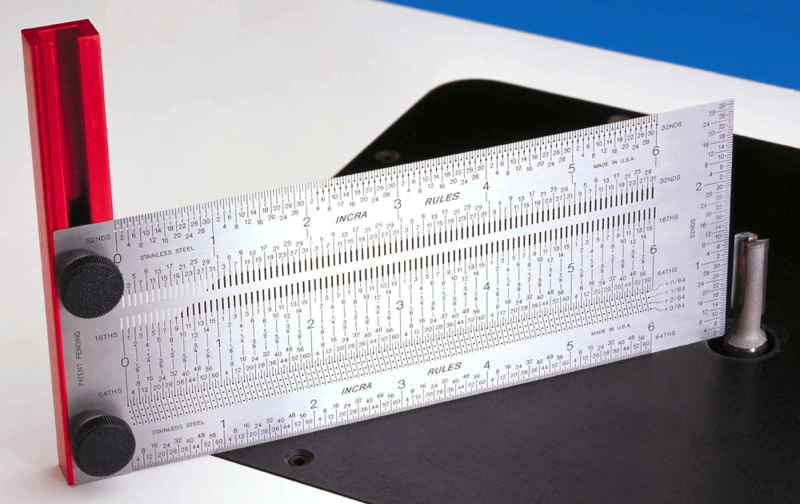 You will never be without the correct measurement with these beauties. 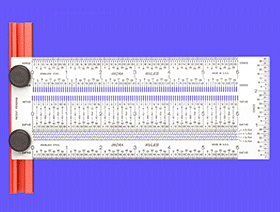 This T-Rule is also available in our combination pack Rule Sets. These rules may be ordered in quantity for customization with your company logo. 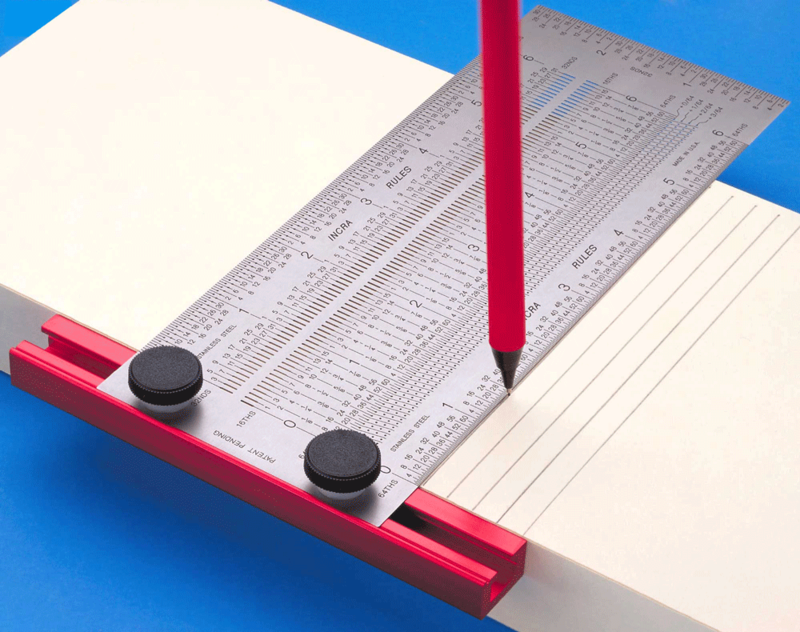 Micro-fine guide holes and slots at every 1/16", 1/32" and 1/64" scale position instantly locate your sharp pencil or scribe at the exact measurement with zero uncertainty and no eye strain! 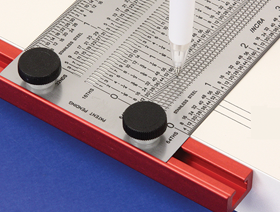 Our most advanced T-rules even offer marking holes every 1/100th inch or 1/4 millimeter for professional usage. 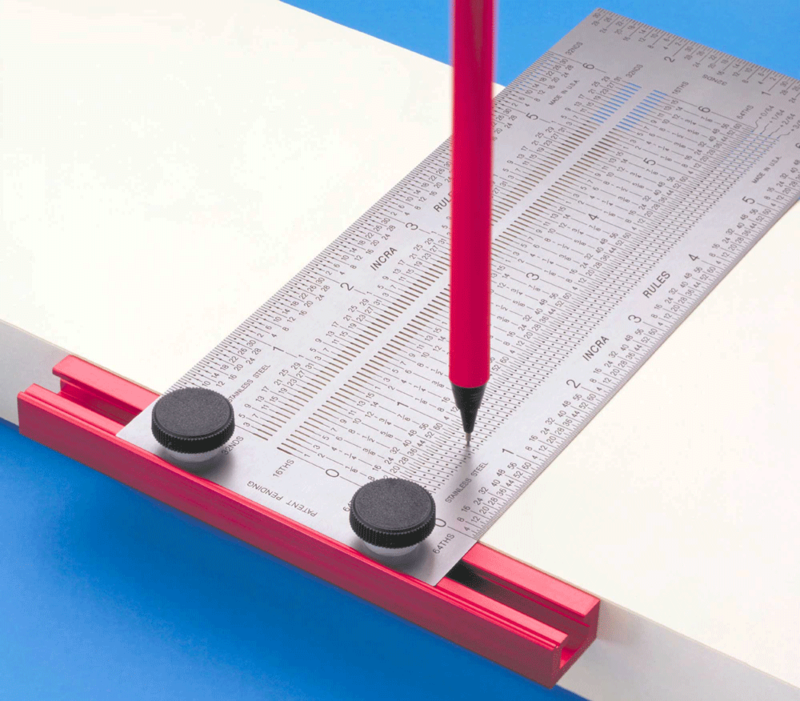 With the pencil in a marking hole, slide along any edge to draw perfectly placed horizontal lines. 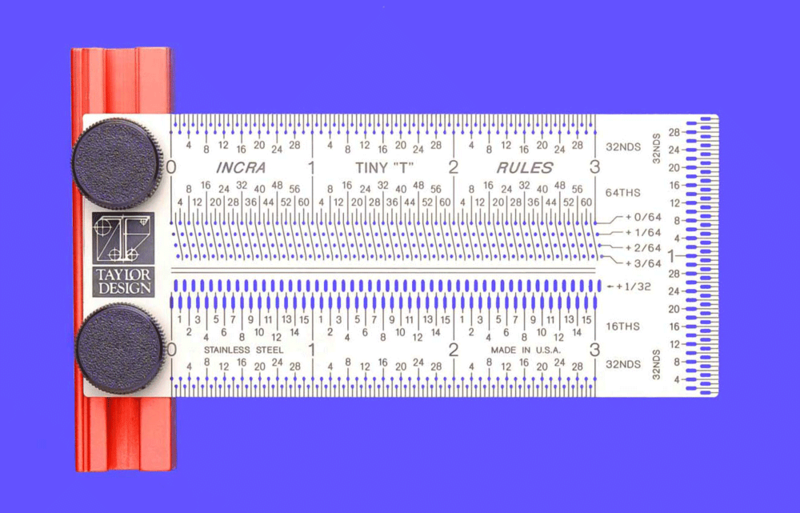 Use as a precision T-Square to draw perpendicular lines. T-bar is easily adjusted for making fast vertical measurements. 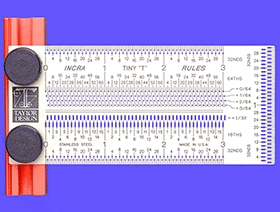 Click to download INCRA Precision T-Rules in Windows Media format.